The developers behind Seven are former Witcher 2, Witcher 3, Ancient Space, Hard West, and Kholat devs, amongst other titles, so it's obvious that Fool's Theory have quite a lot of experience in making games that we love. 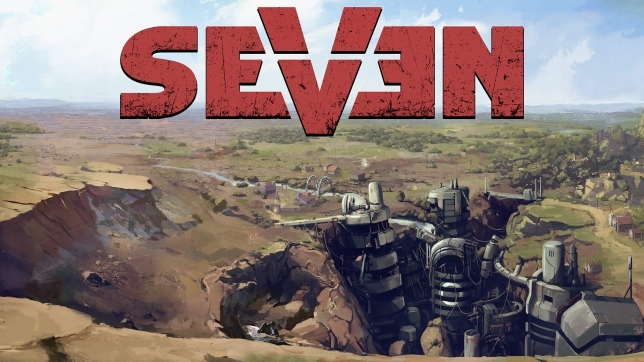 So “what is Seven?”we hear you ask - “Seven is a Thief-inspired, 3D isometric RPG, in which you take on the role of a lone traveller. You're going to explore a nonlinear, sandbox world – Empire of Vetrall.” Well that clears everything up then, but wait, there's more! “Classic isometric gameplay is going to be redefined with parkour climbing system that gives you the ability of free-traversing obstacles on any height horizontally and vertically.” If they didn't have our attention before, they definitely do now just because we want to know how that system will look and work. Take a look at the official site linked above if you're curious or want the newsletter, just be warned that there's an auto-playing music track on there. Stay tuned to us for more news as we get it.